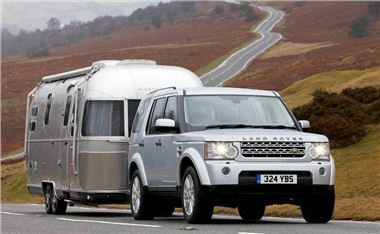 Land Rover has beaten off more than 40 other contenders to be crowned the best tow car of 2010 by Practical Caravan, the Camping and Caravanning Club and What Car?. Skoda scored well in the awards with two class wins, taking the Green Award with the Octavia Estate 1.6 Greenline. Thanks to this car's 64.2mpg and 114mpg average economy, along with solid towing credentials, it impressed the judges. The Skoda Superb Estate 2.0 TDI 170 SE also won the award for its towing weight class. Volkswagen picked up a class award for its Golf 2.0 TDI 140 Match five-door, while the Vauxhall Astra 2.0 CDTi 160 SRi five-door was another class winner. Other cars to win class awards included the Mazda CX-7 2.2 Diesel, Hyundai Santa Fe 2.2 CRDi Style and Kia Sedona 2.2 CRDi.